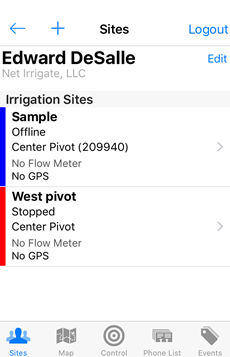 Sign in to the NetIrrigate App on your mobile device. Under the “Sites” page select the site you’d wish to set a Virtual Stop-in-Slot for. This will take you to the “Map” page. Next you need to select the “Control” page. 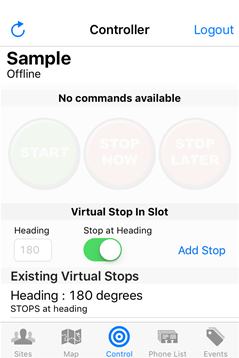 There will be a “Virtual Stop in Slot” section on the page where you are able to enter your heading and then select if or if not to stop your pivot at the heading. When you are finished click “Add Stop”. Your saved Stop in Slots will be stored at the bottom of the page under the section “Existing Virtual Stops”. 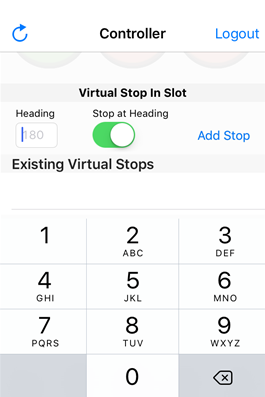 If you’d like to delete a previously made Virtual Stop in Slot, simply swipe to the left over the existing virtual stop and click delete.